Appleton confirms four final bids for Coventry City. IMAGE: Coventry City Football Club. Coventry City Football Club Limited’s administrator Paul Appleton has confirmed four parties have met today’s final deadline for bids to buy the company out of administration. It was believed that there could be up to six final bids for the Sky Blues, but as of the deadline at 12:00 BST, only four had been received. “Following today’s deadline for Final and Best bids for CCFC Limited, I can confirm I have received four bids. “I will obviously now take time to consider these bids before contacting the bidders with my final decision on a preferred purchaser. 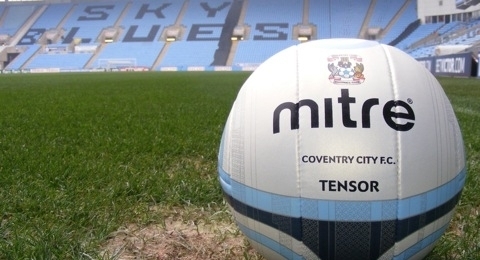 The BBC reports that among the four final bids is one from a company related to hedge fund Sisu-owned Coventry City Football Club (Holdings) Ltd. It has also been confirmed that another final bidder is US property investor Preston Haskell IV, with backing from former Sky Blues directors Joe Elliott and Gary Hoffman. It is not yet known if Arena Coventry Ltd, which made an indicative bid last week, is among the final bidders. Appleton has also stated his desire to have a solution before the 2013/2014 fixtures are released next Wednesday, June 19th. Part-time blogger. Full-time entertainer. Can be found on RNTomlinson.com & ccfctv.co.uk. « Coventry City unseeded for Capital One Cup First Round draw.